The Tuareg, nomads who travel all over the Sahara desert are primarily herders and traders. 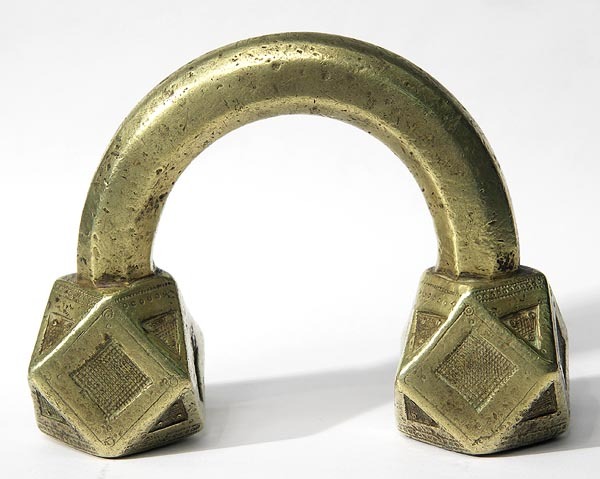 Skilled craftsmen made elegant forms from brass and silver metals. 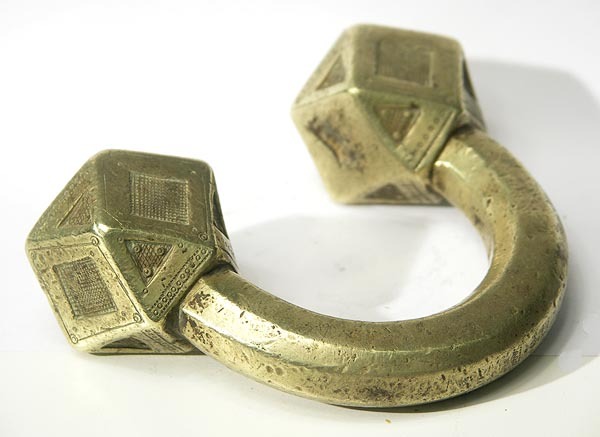 These brass forms were recognized and traded as currency, yet some were also used as bracelets. All are solid brass. This bracelet form can stand on its faceted ends and is extremely heavy ( 2 lbs. 14 oz. )( 1.35 kg.). It would not have been worn as a bracelet.